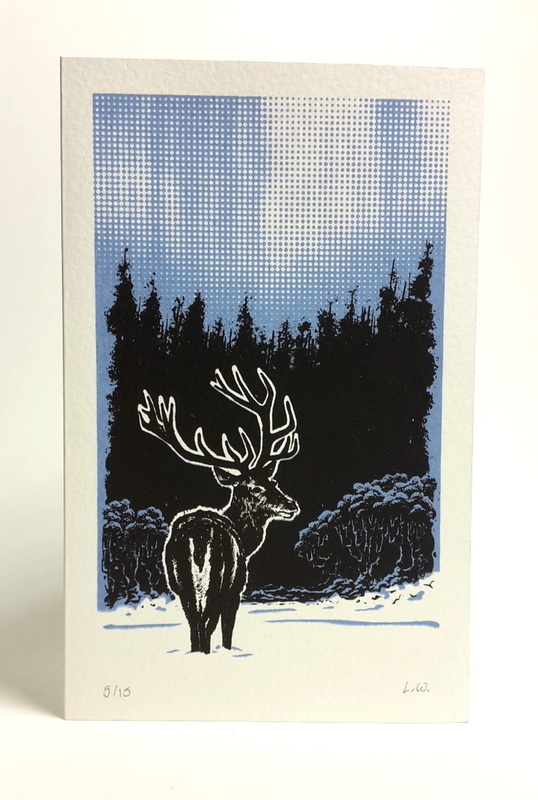 Series of 3, 2 colour, screen printed greetings cards, depicting wildlife in a winter scene. Reindeer, Robin, and Hedgehog. 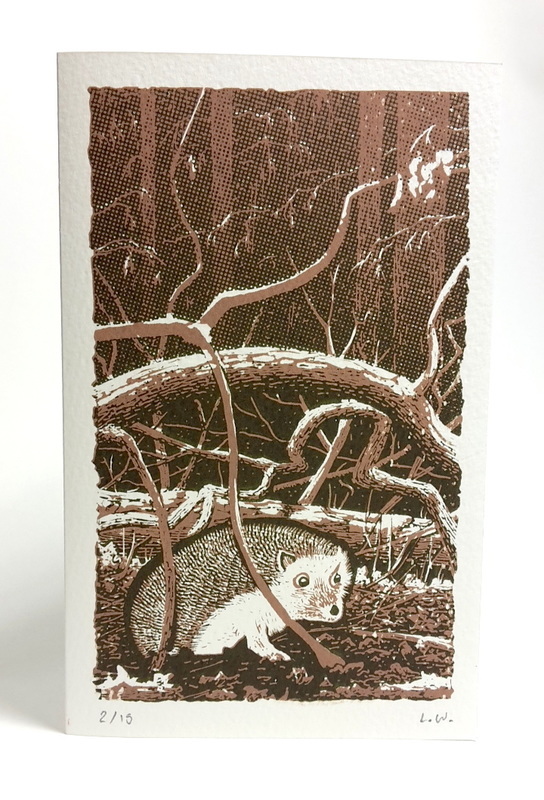 All three printed to a high quality on 300gsm textured paper. 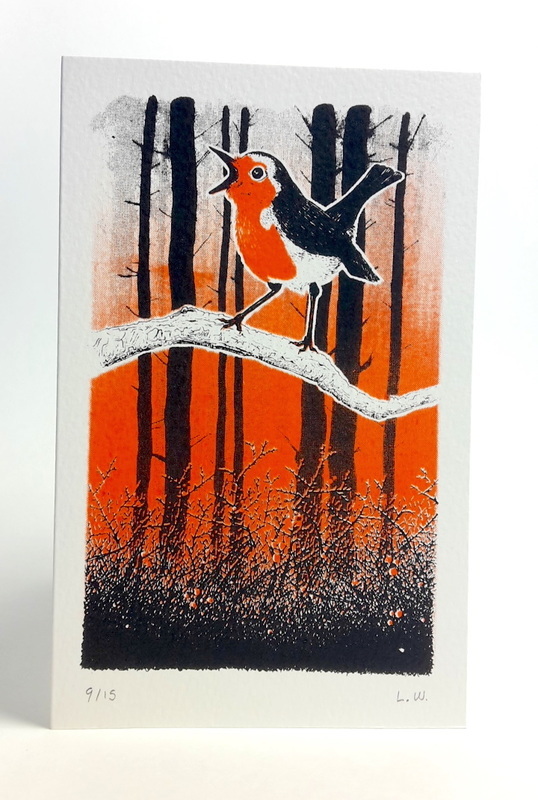 All three cards have been made available online and in store at Gatehouse Arts, Eastgate Gallery, where they sold quite successfully over the christmas period.